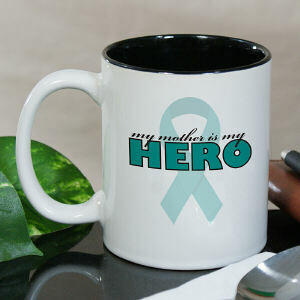 Raise awareness at work, home or at a local walk event with Ovarian Cancer Awareness Mugs. Discussions around the water cooler, office meeting or school function just got a little easier with Awareness Drink Ware from MyWalkGear.com. More than a drink, its a way of life. Ovarian Cancer affects 20,000 women annually. Help raise awareness in your corner of the world with Ovarian Cancer Awareness Gear and Shirts from MyWalkGear.com. Our determination to help others drives us every day.